A Look At How Glaucoma Affects Balance - ProHealth Partners, Inc.
Glaucoma, the second-leading cause of blindness, has a detrimental effect on a person’s sense of balance. Studies have found that individuals with primary open angle glaucoma (POAG) – the most common form – struggle with the sight necessary to maintain steady posture and balance. This deficit can be used by physical therapists to help prevent falls. Glaucoma is a chronic condition that damages the optic nerve and leads to blindness if left untreated. Adults over the age of 60 are most susceptible to glaucoma, with the risk higher among African Americans and Hispanics. One study published in the Clinical & Experimental Opthalmology compared the balance of 35 people with glaucoma to age-matched healthy subjects. This was conducted using a tool similar to the Biodex BioSway, a portable balance system that ProHealth staff use to help identify balance issues. The unit can identify which of the patient’s balance systems (visual, somatosensory or vestibular) may be responsible for their balance difficulty. The study found that subjects with normal vision swayed less and were more stable than those with glaucoma. The worse the eyesight, the more they swayed, according to the research. Although roughly four million Americans have glaucoma, only half of them have been diagnosed with it. Those over 35 and in a high-risk group should be tested every two years, while all seniors over 65 should be tested annually. 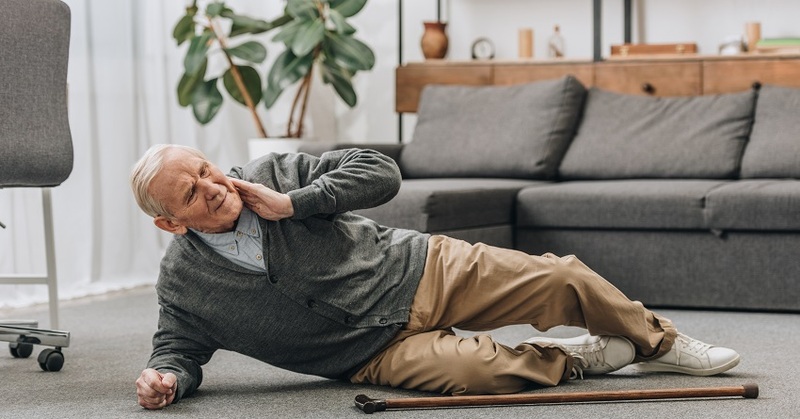 For more information about preventing falls or how ProHealth services may benefit you or a loved one, call us at 877-511-9739 or contact us online.